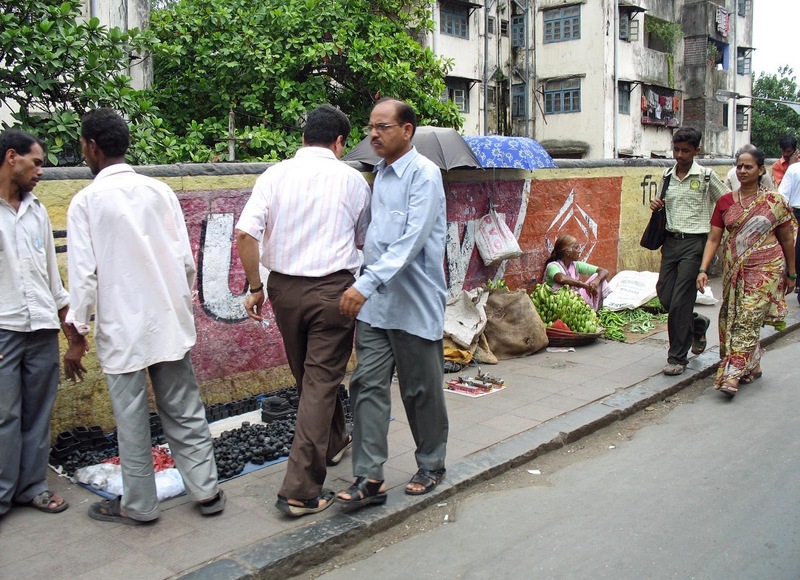 These are pictures of road-side vendors selling wares and as a result encroaching on the pavement. 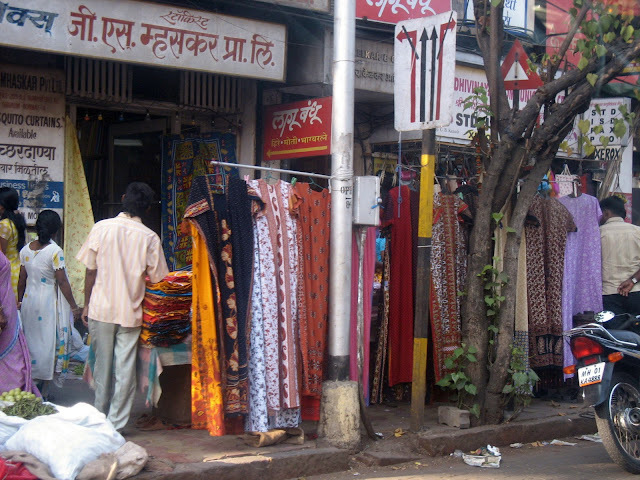 Pedestrians are forced to walk on the roads or somehow squeeze through between the shops and vendors. The photographs show a fair amount of detail and are clear. The first picture is of people selling woollen clothes on the streets of Mumbai. They come in from the North, often Nepal, for a few months in winter. The picture below was shot just outside a Mumbai local railway station. A line of vendors lines the narrow pavement. 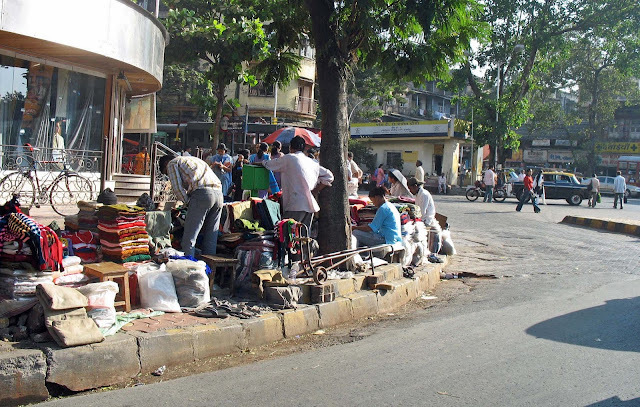 People struggle to keep their feet on the pavement, but do not object to the street sellers. In fact they buy things from here as it is convenient. The pavement vendors are selling everything from fruits and vegetables to spare parts of machines. 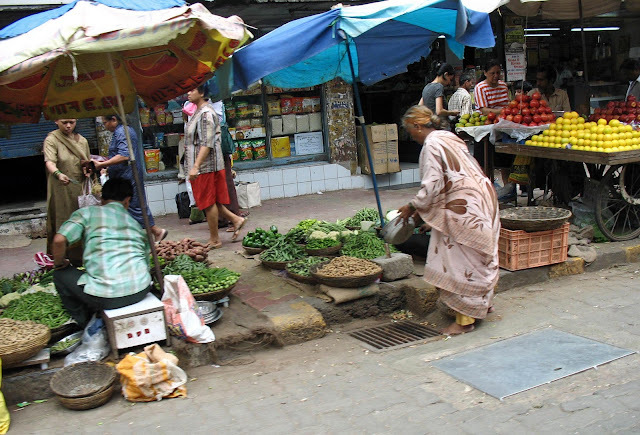 The image below shows vegetable-sellers on the pavement. They are to be seen everywhere, particularly in residential areas and railway stations. In the photograph below the vendors are selling clothes like gowns and salwar kameezs. They have more or less blocked the pavement.